The upside of this technique is that all those buildings have been hand-modeled by enthusiasts for years. A lot of effort has been put in to create detailed photographic-quality versions of real life buildings all over the world. 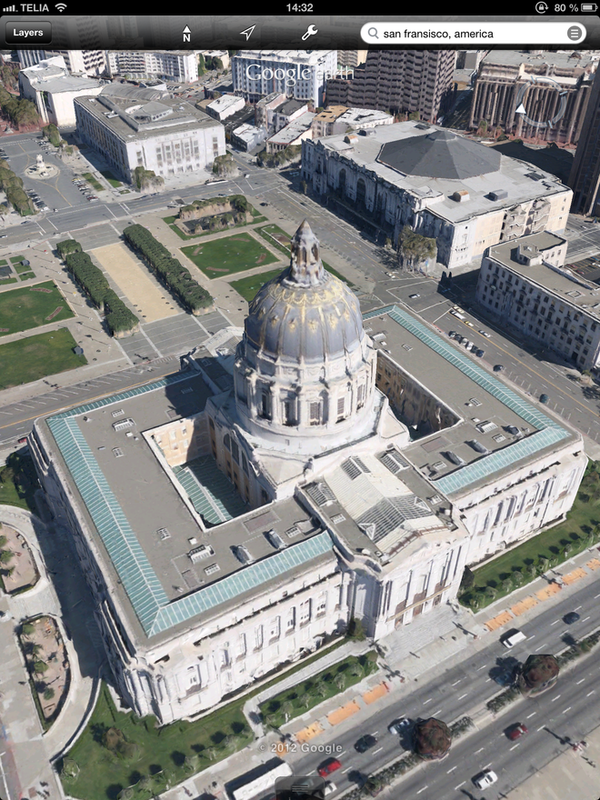 The downside, as you can see, is that these buildings are put on top of 2D satellite photos, so shadows aren't really too realistic, and sometimes, you can see the building underneath the 3D building. 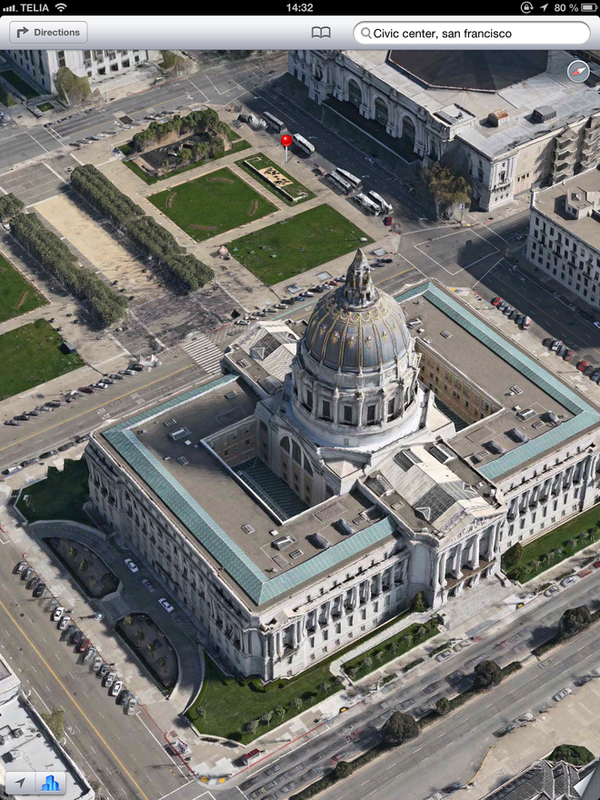 This example is of the Civic Center in San Francisco. The problem with this is of course that Google is starting from zero and have to fly out and 2D/3D map cities like Apple have, which means that currently, very few cities are included in the 3D buildings update of Google Earth. Not even New York is there. I suppose I could understand if this is a memory/resource question. I.e. 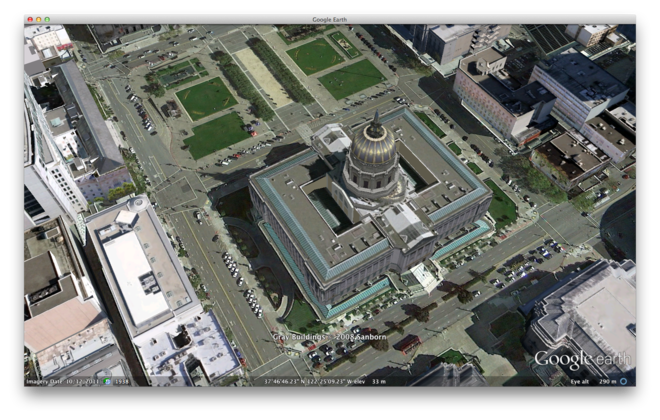 the iPad/iPhone doesn't have the CPU/RAM to handle all those individual 3D buildings that people have created - but surely you could have somehow used that data and incorporated it into a format that the iPad/iPhone could handle?